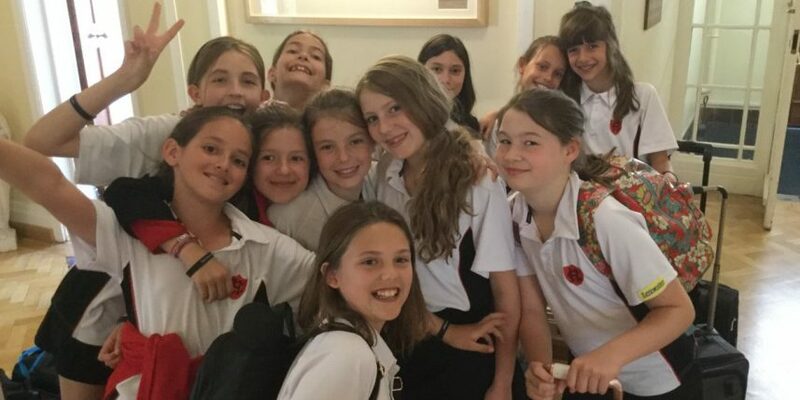 The year 5 girls had a fantastic time at St Swithun’s School this week. The trip was organised to give the children a taste of life at senior school and an introduction to a boarding house. The two day programme was jam packed! First up was a juice and cookie reception with the year 7 St Swithun’s buddies. The older girls made their guests extremely welcome by making them personalised cards and giving up their beds for the night. On Monday evening, they had great fun making chocolate and playing rounders. Chepstow’s girls certainly gave the year 7s a run for their money and brought the Chepstow House competitive spirit with them. After supper, hot chocolate and a film, the children snuggled down in their dorms and said goodnight at about 9 o’clock. Before they knew it, the morning was here and it was a busy one. Breakfast, a charities assembly, lacrosse and a chemistry lesson flew by and before they knew it they were back on the train to London.